For those familiar with the question of the third/fourth secret of Fatima, it is well known that the message of Our Lady to the Fatima children explicitly included a reference to the Kings of France, who refused to consecrate France to the Sacred Heart, and warned that if the Popes followed their example, terrible wars and destruction would afflict humanity. We are only a few years away from the 100 year anniversary of the Fatima message, and those who hold, in my view correctly, that the Consecration was not in fact done, have pointed to this as a warning for what is to come. It is best then if we understand what it is Our Lady was referring to when she referenced the kings of France. This centers around the revelations of the Sacred Heart to Margaret Mary Alacoque, beginning in the 1650’s. 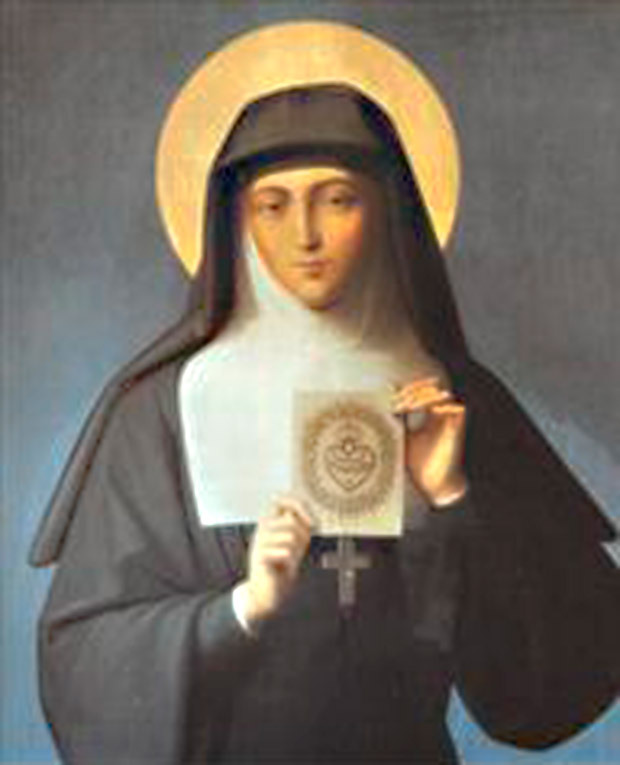 Now, although devotion to the Sacred Heart certainly preceded St. Margaret Mary Alacoque, Our Lord used her to popularize the devotion. 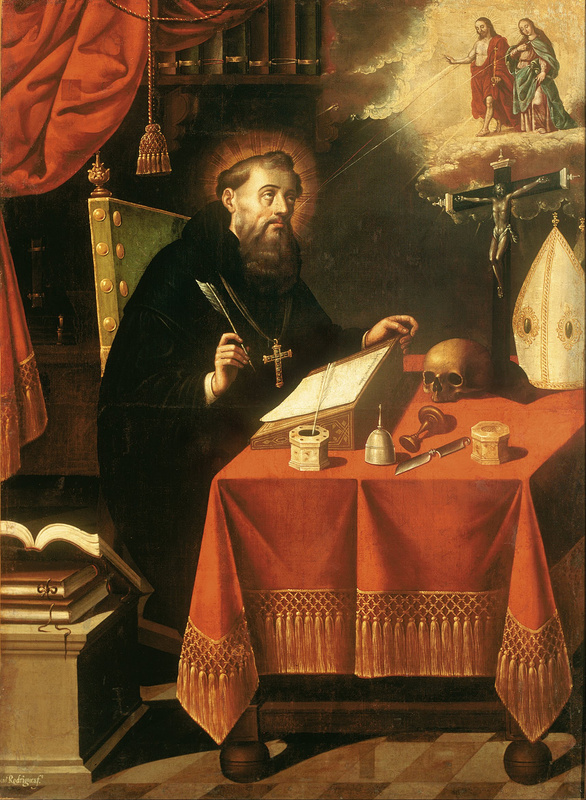 The means he chose to popularize it, however, were not only apostolates, and the first Fridays, but also a king. In 1689, St. Margaret Mary went to Versailles to see King Louis XIV, who at the time was the greatest Monarch in Europe. France had never seemed more glorious, and it was at the cusp of innovating its culture, technology and industry. It had the highest population in Europe (therefore the largest armies), and was undefeated on the battlefield. It had also solidified its Catholic identity, and escaped the Gallicanist heresy (Jansenism was not to come about publicly until 1725). What St. Margaret Mary came to present to Louis XIV was simple: that he consecrate the whole nation of France to the Sacred Heart of Jesus, and build a chapel so that the Sacred Heart could be adored, and France’s glory would be magnified even more for the Catholic faith. Many of Louis’ advisers warned, however, that if he did it and France suffered at all, it would not only be bad for him, but for religion also (note this point, it ties in with more modern events with Fatima). Moreover, Louis XIV, a well educated monarch who possessed untrammeled power, perhaps wondered why Christ would appear to this uneducated nun of low birth, rather than to him. Pius XI said the same thing when he refused to consecrate Russia to the Immaculate Heart. So, the Rois-Soleil, the Sun King, flat out refused the request from heaven. Previously the very same year, when adjusted for calendar differences, a revolution rocked England. 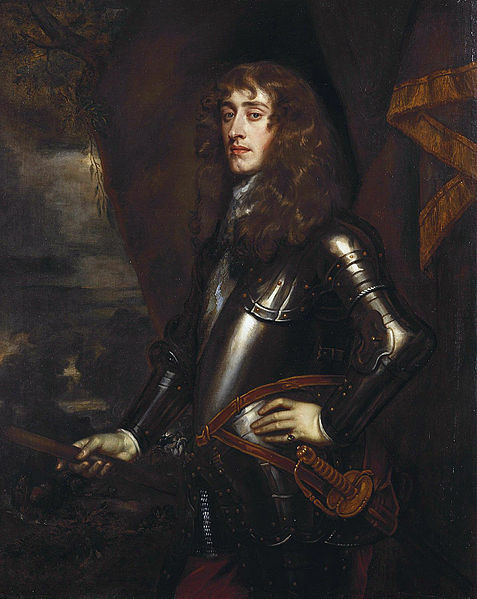 James II, the last Catholic Stuart to sit on the throne, had an event which usually signifies the strength of a royal house, but in this case led to its downfall. It was the birth of his son, James Francis Edward, who was then baptized Catholic. James’ position as the Catholic king of Protestant England was tenuous, but he was a good administrator and at first he was able to maintain his position. For all that, he was a poor leader and not very astute about judging the political climate. The Seclusion Crisis in the last years of the reign of his brother, Charles II, was settled by the latter’s excellent sense of the political wind. 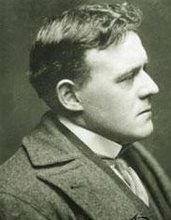 He took advantage of the increasingly radical language of the faction that wanted James secluded from the succession on account of being Catholic, and the mood of the populace which was fearful of another civil war. Putting on his royal robes, Charles declared seclusion, and whigism, to be treasonous, and most of the country supported him, being willing to accept a Catholic monarch over a new war. James when on the throne was less impressive than his brother, or than his heirs might have been if they had actually ruled (namely James III and Charles III, aka Bonnie Prince Charlie). The worldly suggest this is because he wasn’t willing to compromise his religion, or because he wasn’t as duplicitous as he might be. The real reason, however, is that he wasn’t very Catholic in practice (his affairs were as famous as his brothers’) and he was a poor leader. He picked his battles very poorly, and alienated his major support base, the Tories, over issues of law, and kept a standing army. Now his brother also had a standing army, with 20,000 Scots that could be called up at any time, but this was necessary on account of the fact that the restored Stuart Monarchy needed support, coming back after a major civil war which ended in their Father’s execution (Charles I). This in itself wouldn’t have raised any more eyebrows than it did for Charles II, except that he filled command positions with Irish Catholics, and he was formally Catholic (whereas Charles II was a secret Catholic who converted on his deathbed). So the Protestants “whigged out” (pun intended), with the old propaganda of a Jesuit conspiracy to take over England and forcibly convert the country. 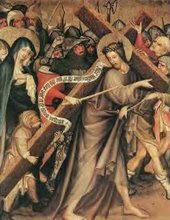 James certainly was trying to liberate Catholicism in England, but he certainly had no program in mind to forcibly return Englishman to the faith. As poor a politician as he was, he was realistic. Nevertheless, at the birth of his son, it was no longer a matter of biding time until James II’s daughter, Mary (a protestant and married William of Orange, the protestant champion of Holland), would reign as queen. Now the Protestants in the government and the London establishment faced the prospect of a long lived Catholic dynasty. So they decided to reach out to William of Orange, offering him the crown if he would invade England and depose James. Historians debate whether at this time William had any interest in the crown or simply wanted James to change his policy from French alliance to a Dutch alliance. Dutch ships invade England in 1689. 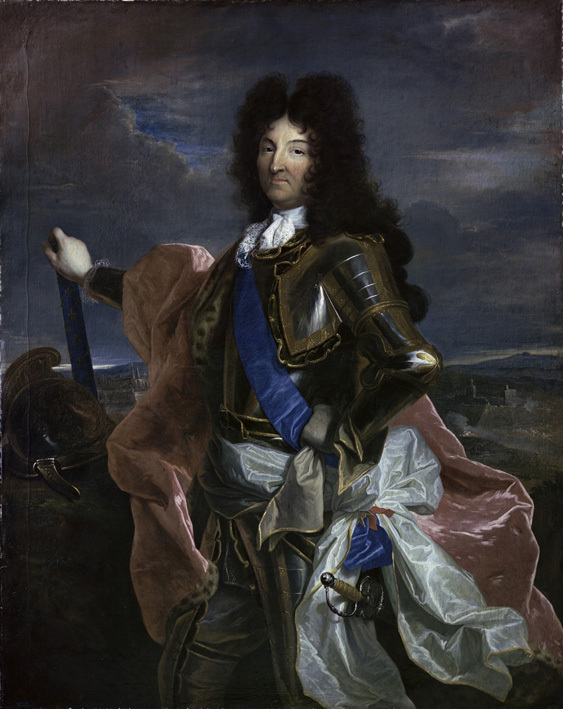 Either way, Louis XIV undertook a military campaign in the Holy Roman Empire, and as a result his troops were not available to assist James against the invasion. 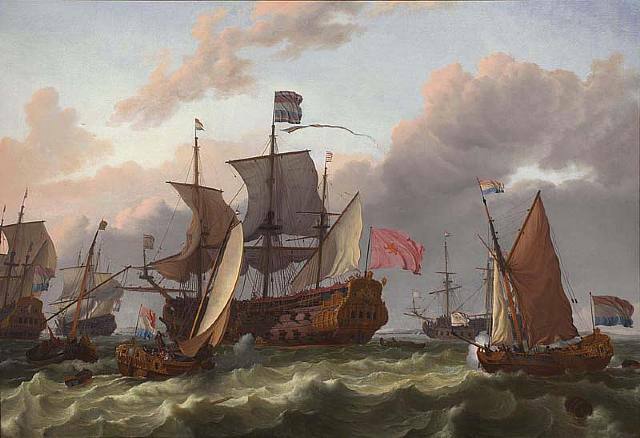 Thus commenced the so-called “Glorious Revolution”, where the Dutch, with the assistance of several Protestants in the Navy who cleared the channel for them, invaded England, and James, rather than leading his troops, escaped. Historically this is curious. While, on the one hand, James had good reason to fear treachery in the army (as he had seen it in the Navy), he had two things at his disposal. Irish troops who were in positions of authority, and the natural English Xenophobia and loathing for the Dutch (England had fought 3 wars with the Dutch since Cromwell’s time, and though they were seen as co-religionists, it was largely felt that the Dutch had usurped English rights in the new world and the East Indies). If James had lead his army in person, he might have won the day and kept his throne. 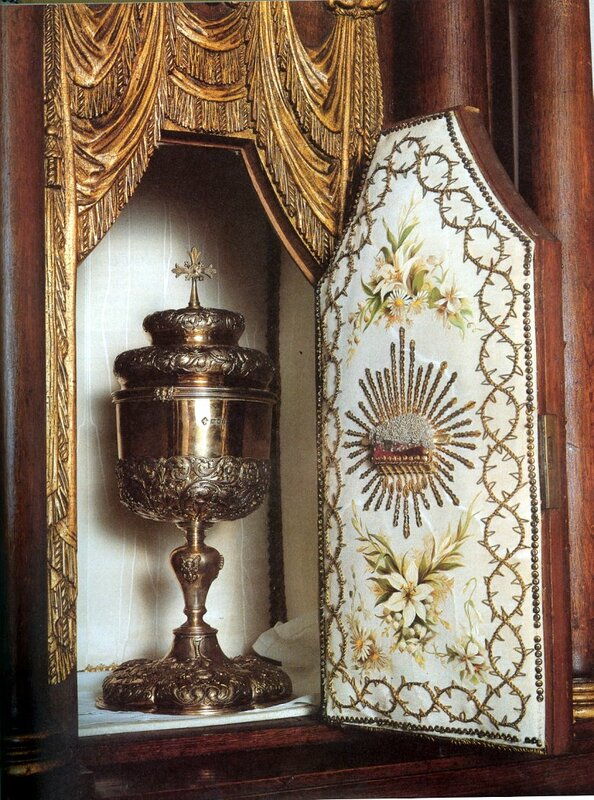 These might have been graces flowing to him from the consecration of the Sacred Heart, but it was not done. As a side note, St. Claude de la Colombiere, St. Margaret Mary’s confessor, was a preacher in England for James II’s wife, Mary of Modena, and at one point was imprisoned for missionary activity and ministering to Catholics in the north. He was spared execution because of his position in the Duchess of York’s household, but was exiled. James fled England, and William, along with his wife Mary, were made joint monarchs. Now, William was related to the Stuarts, but through Charles and James II’s sister Mary, making the former a nephew of the latter. In the succession, however, he would have had to wait for James Francis Edward (an infant) and both of James daughters, Mary and Anne, to reign before he could have been considered for the succession, and that is if the former all died with no issue. Nevertheless, this is the only time England’s monarchy became elective, with parliament and the new William III and Mary II affirming that James was dead (which he wasn’t) and that he had no heirs (which he did). It was a total usurpation of common law, but it is endemic of the changes that the Glorious Revolution brought to English law. Parliament became supreme in its laws, which meant that the Constitution comprised of a series of parliamentary decisions. For instance, the right to gun ownership for Protestants, guaranteed by the Bill of Rights which was issued at William and Mary’s accession to the throne, was revoked by Parliament in 1998, because Parliament had given the right, and now it could be taken away without any reference to common law or natural law. The Effects of this were at first a minor setback for Louis XIV. He lost a few thousand troops in Ireland at the battle of the Boyne, where James tried to raise support for himself, but all seemed well. He gave James and his family his summer palace of St. Germaine for their court in exile, and busied himself with other matters. Then came Margaret Mary Alacoque and the request to consecrate France to the Sacred Heart. As we noted, he rejected it firmly out of hand. What did he have to fear after all? The situation in England, however, soon turned into a major headache. 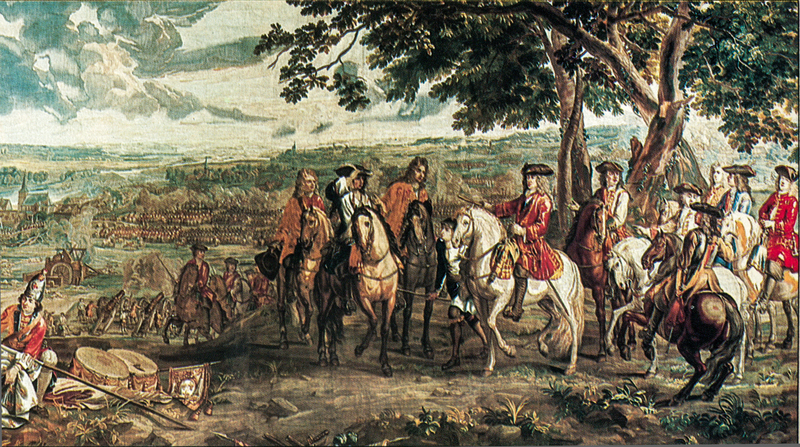 William III, as king of England and the Staatholder of Holland, effected an alliance of England, Holland, Sweden, and the Hapsburgs against Louis XIV, in which France suffered its first major defeat. The ink was barely dry on the peace treaty, when a new war raised its head, over the Spanish Succession. Charles II, the last Hapsburg ruler of Spain, was dying with no heir, and his will, ratified by the Cortes, called for Louis XIV’s grandson, the count of Anjou, to ascend the throne of Spain, with the promise that France and Spain would not be united under one crown. The Hapsburgs would not tolerate losing the Spanish possessions from the family, and the Protestants of England and Holland would not tolerate the Bourbons jointly holding France and Spain, along with Spain’s vast new world possessions. All sides threatened war. Again the revelations of Christ to St. Margaret Mary were brought to Louis XIV, promising victory if he would consecrate France to the Sacred Heart. One can imagine that Louis XIV took this a little more seriously after the war of the first coalition, but in the end he refused to do it. Charles II of Spain died, and Louis XIV decided he was in trouble no matter which way he went, so he decided on allowing his grandson to take the Spanish throne, beginning the war of the Spanish succession. Previous to this, James II died and France, Spain and the Pope all recognized his 18 year old son, James Francis Edward, as James III of England (though living in exile at Louis XIV’s palace of Saint Germaine, where an Elderflower liquor was concocted which today we know by the same name!). This made William even angrier, and greased the wheels for a new war. 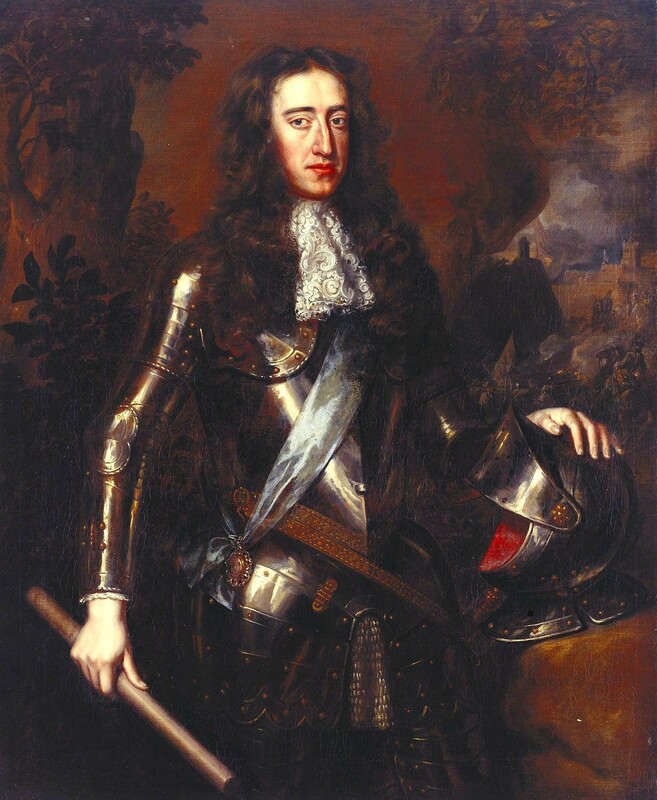 Mary II died tragically young in 1693, and William III died just before the war got started, but Anne, James II’s other protestant daughter and the last protestant Stuart, carried out the war with the aid of good politicians and a gifted general in the person of Lord Churchill, the Duke of Marlborough (Winston Churchill’s ancestor). In a series of astounding victories by Marlborough, the Allied coalition had smashed the French, though they suffered major setbacks in Spain. The war, however, was bloodier and more horrendous than any seen in European history to that point save the Thirty Years war, and can properly be considered a World War, being fought at sea all over the world as well as on the European continent. The war waged on for 12 years, depleting France of resources, population, money and in general devastating the country. The debts from this war were still unpaid when Louis XVI came to the throne two generations later. It was an absolute disaster, and at the end of the war, all the issues over which it was fought came to pass anyway; Philip V (Louis XIV’s grandson) was acknowledged as King of Spain, and both France and Spain promised the crowns of the two countries would not be united in one sovereign. So hundreds of thousands of lives were lost for nothing, livelihoods were destroyed and millions impoverished: for nothing! And the consecration was still not done. Interestingly, while in England it was 1688, on the continent it was already 1689, due to the fact that England was still on the Julian Calendar. 100 years after St. Margaret Mary first brought the request from heaven to consecrate France to the Sacred Heart, the French Revolution began with the assault on the Bastille in 1789. Death, famine, poverty, war, and a revolution which effaced tradition and the faith from the country. What will October 13 2017 bring us? The signs are there to be read, and they’re not good. This entry was posted in Articles, History and tagged England, Fatima, France, French Revolution, Glorious Revolution, history, Louis XIV, Sacred Heart, War of Spanish Succession on 3 August, 2014 by rubens7. Previously I had not enjoyed this thorough understanding of how the Sacred Heart fit into the political realities at the time. Thank you for the write up. I will have to go back and look closer at the Fatima Apparitions. I did not realize that the failure to consecrate France to the Sacred Heart was actually mentioned, but I did draw the same connection between that and the French Revolution at 100 years and the approaching anniversary of Fatima. “I will come back to request the consecration of Russia to my Immaculate Heart…” Is there a date on this request? Was it during 1917 or later in one of the allocutions to Sr. Lucia after 1917? As far as Catholic prophecy goes, we are fitting right in with what I read in a couple of books. The rise of Islam, along with the attending atrocities. A possible war in Europe. Some say Russia, but I think that prophecy is more in line with an north/south break. Germany seems to be a major economic power in Europe, and the northern European countries seem ok, while southern Europe is in trouble. If war breaks out in the Eurozone, it could be due to these tensions, and that would fall in line with lots of the prophecies. Also, if Russia turns off the gas to Europe, then southern Europe can still get energy via the Mediterranean. Germany, not so much. Another note, that may coincide frighteningly with prophecies of 2/3rd’s of the world’s population being wiped out, concerns conspiracies that the U.S. will try a first strike against Russia & China in 2016. Conspiracies, yes. But the speculation is that after the anti-ballistic NATO stuff is on line, it will be “safe” to try a first strike, as they believe that the missile defense will be able to handle the counter-attack. This certainly seems whacked, but what would suffice to create an environment that would see the conversion of Islam, the return of the protestants to the one true Church, the return of the Church to Tradition, the exaltation of the Pope, and a renewal of morality? All of which are foretold to happen prior to Mary’s Age of Peace. The elites in the French Revolution thought that the population of France should be reduced by two thirds. Today, our population control freaks think in the same proportions, if not worse. I can see them fomenting nuclear war, famine, plague or any number of horrors if they think they can get away unscathed. And I have no doubt that that kind of insane hubris exists deep inside the various bunkers and continuity of gov’t plans around the world. To them, useless eaters are useless. How many serfs does one need to keep the chardonnay flowing anyway? At any rate, we would not be talking about this if there was not a clear feeling on the part of a huge number of the more aware that something is gonna let go, and not so long from now. What that will be, is a bit harder to sort out. The two main books that I reference are “Catholic Prophecy” by Yves Dupont and “The Prophets and Our Times” by Rev. R. Gerald Culleton. They have their own interpretations, but they primarily consist of prophetic quotations from the saints, etc. from which you can derive your own interpretations. Both are Tan books.